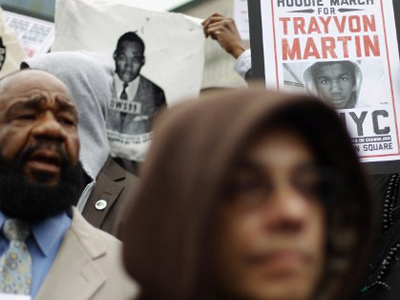 NBC appears to have edited an excerpt of a phone call made by Trayvon Martin’s killer to portray him as a racist. 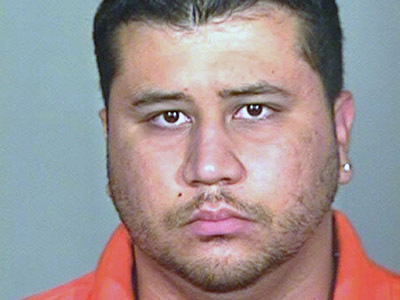 The edited George Zimmerman says he thinks Martin is ‘up to no good’ just because he was black – but that’s not what he really said. Zimmerman: "We’ve had some break-ins in my neighborhood and there’s a real suspicious guy. It’s Retreat View Circle. The best address I can give you is 111 Retreat View Circle. This guy looks like he’s up to no good, or he’s on drugs or something. It’s raining and he’s just walking around, looking about." If one compares the NBC version with the original transcript, it appears the channel jettisoned Zimmerman’s real explanation on why he thought Martin looked suspicious, and also got rid of the dispatcher’s question. There is other evidence to show that the media is trying to portray this case as an archetypical hero-and-villain battle. The photos of Martin and Zimmerman that the media uses are actually dated and create a wrong impression of how both men looked at the time of their encounter. 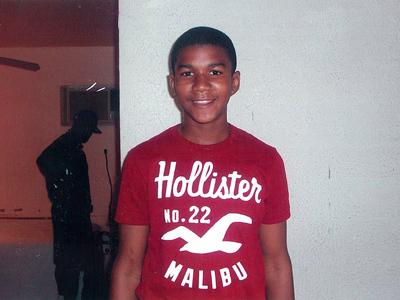 Martin’s picture, in which he appears to be an innocuous-looking smiling teenager, was taken several years ago. At the time of his death, Martin was a 6-foot tall teen with gold teeth who had been suspended from his school for carrying marijuana. 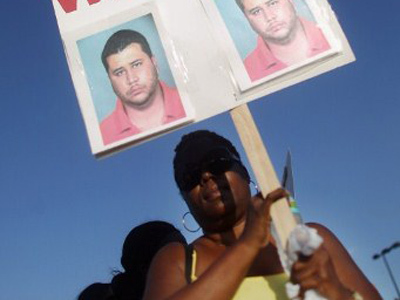 Zimmerman is also not the sturdy-looking man in an orange-colored jail uniform. That mugshot is seven years old, taken when Zimmerman was charged with assaulting an officer, though that charge was dropped. In a much more recent photo, Zimmerman appears leaner and sports a tie and a suit. Betsi Grabe, a professor at Indiana University-Bloomington who has studied the effects of news images on public opinion, said the media instinctively tries to assign a distinct victim and aggressor in its stories. 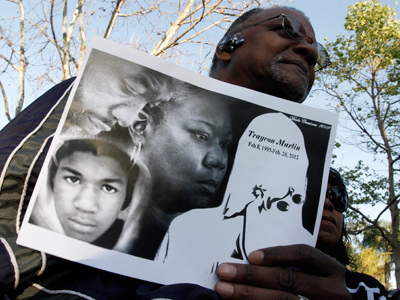 Martin was killed by Zimmerman in Sanford, Florida on February 26. 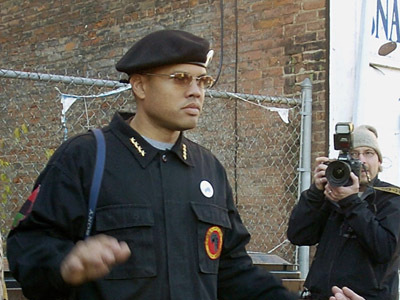 Zimmerman, a community watch coordinator, followed Martin, who he says appeared suspicious. 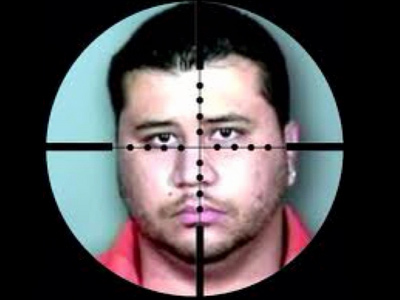 Zimmerman claims that he was attacked by Martin and was forced to shoot him in self defense. Police officers took Zimmerman to the police station but then let him go, saying they did not find evidence that contradicted his assertion of self defense. 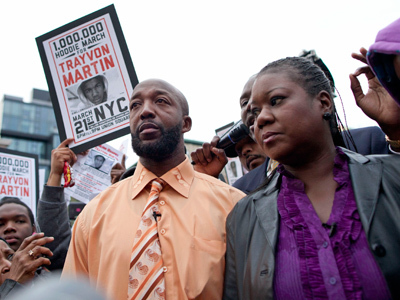 Martin’s parents and lawyers contend that the murder was racially motivated, and blame the police for not arresting Zimmerman. The case gained national media attention in March. Martin’s supporters have held rallies in both Sanford and New York. A number of big names including Barack Obama and Oprah Winfrey have also commented on the case. Winfrey said it was a shame that police made no arrests, while Obama, mentioning that he had to be careful about what he said so as to not hamper the investigation, stated that if he had a son, he would look like Trayvon.